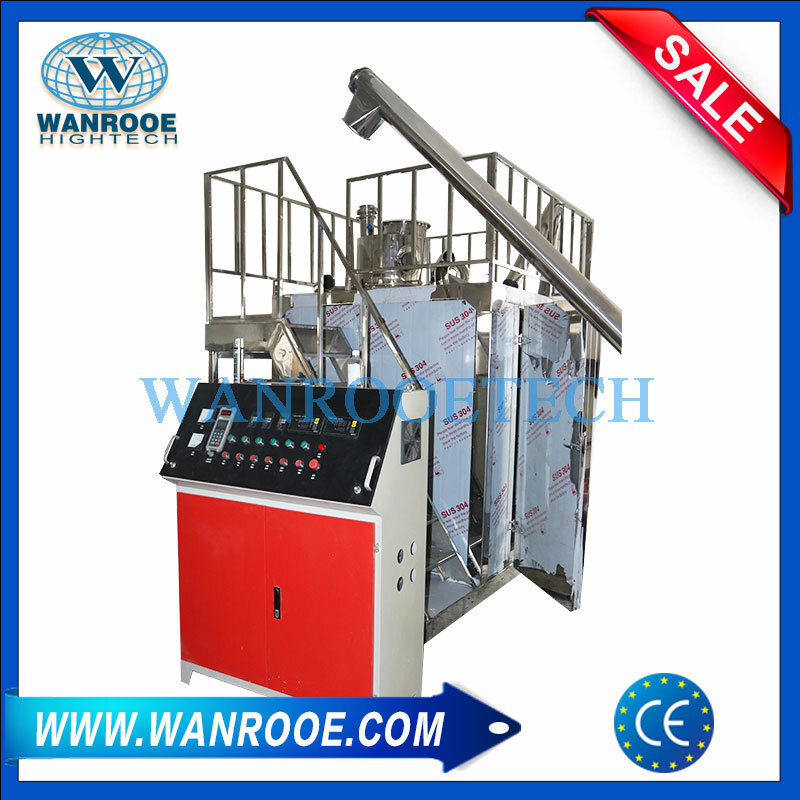 PA,PET, PE Wax Cryogenic Pulverizer from China Manufacturer - WANROOE MACHINERY CO.,LTD. 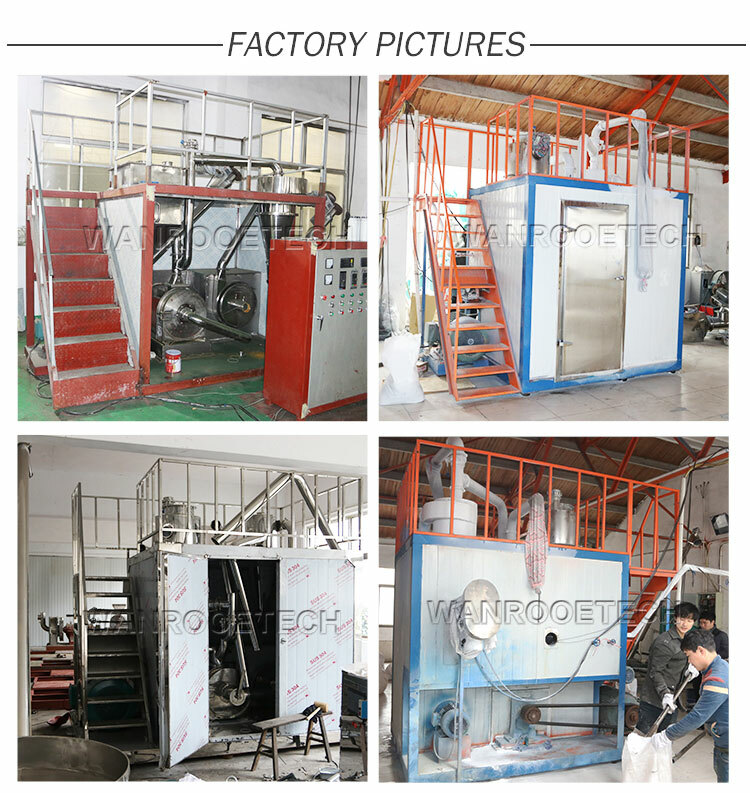 This Cryogenic Pulverizer using liquid nitrogen to lower the input material temperature to material embrittlement condition firstly, then go to the grinding chamber, the input materials were throughly pulverized through blade wheel’s high speed rotating, and the comprehensive force like mutual repeatedly impact, crash, shear and friction between the materials and blades, fluted disc, materials and materials. Cryogenic Pulverizer, also known as freezer milling, freezer grinding, and Freezing Pulverizer, is the act of cooling or chilling a material and then reducing it into a small particle size. For example, thermoplastics are difficult to grind to small particle sizes at ambient temperatures because they soften, adhere in lumpy masses and clog screens. When chilled by dry ice, liquid carbon dioxide or liquid nitrogen, the thermoplastics can be finely ground to powders suitable for electrostatic spraying and other powder processes. Samples that require extraction of nucleic acids must be kept at −80 °C or lower during the entire extraction process. For samples that are soft or flexible at room temperature, cryogenic grinding may be the only viable technique for processing samples. 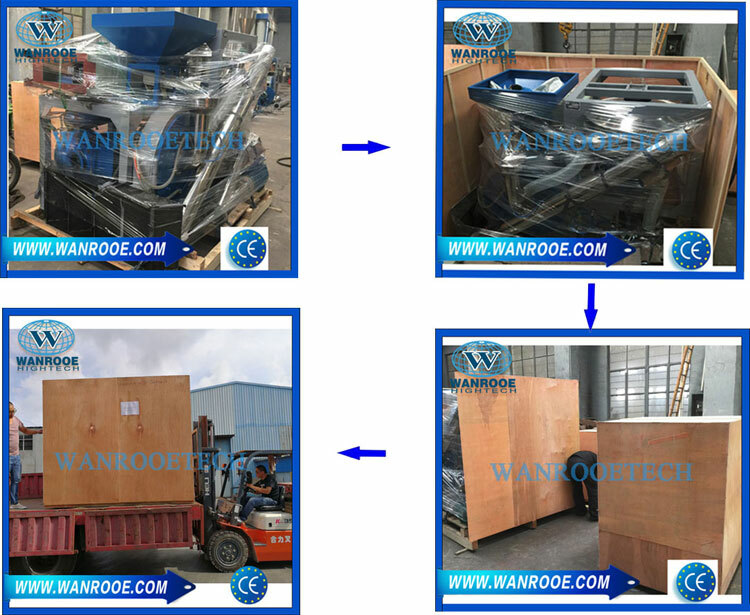 Grinded materials will be classified and collected by air screen cone type classifier, the grinded material or powder which have not reached the material fineness degree which go back the grinding chamber for re-grinding, most of the cool air will return back to gringding chamber for recycling usage. While grinding, the cooling source is forming a closed -circuit circulation system, The cryogenic pulverizer system, so the cooling source will be thoroughly used,save energy; and the particle fineness degree rang from 10-700 mesh, even reach micron fineness degree. 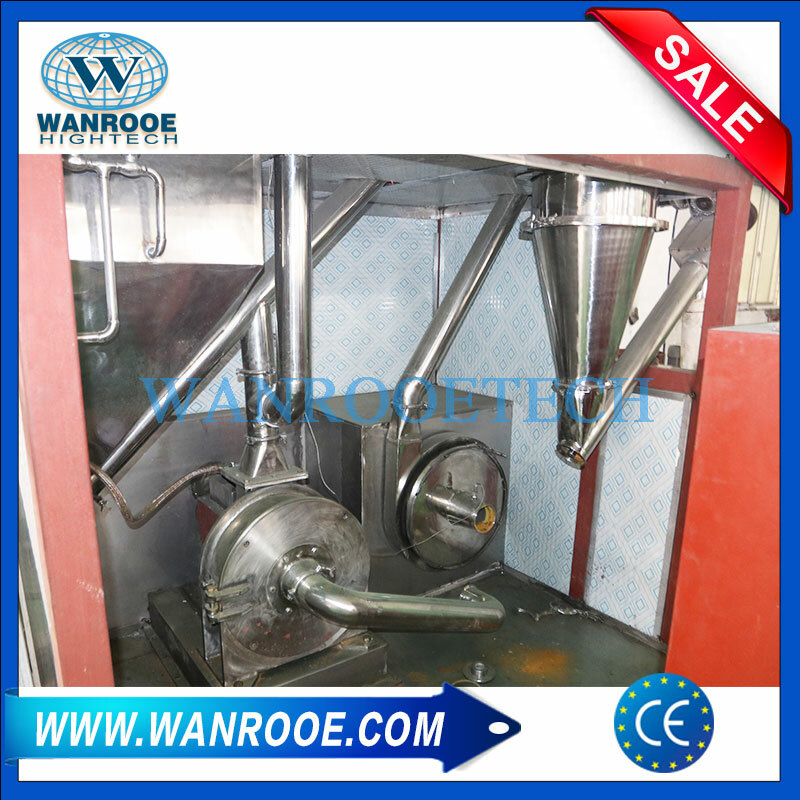 Apply liquid nitrogen as grinding medium, achieve cryogenic grinding, anti-explosion, anti-oxidation etc effect. PE, thermoplastic-elastomer TPU/TPEE, Nylon material PA11、PA1010、PA12、PA6、PA66、PA610 copolymer nylon, PET, PTFE,PE,EVA, food industry (chilli powder), Chinese and Western Medicinal materials’super fineness grinding. the protecting part can be made from stainless steel 304 or steel coil. The ladder is used for workers to load the raw materials into the feeding hopper. 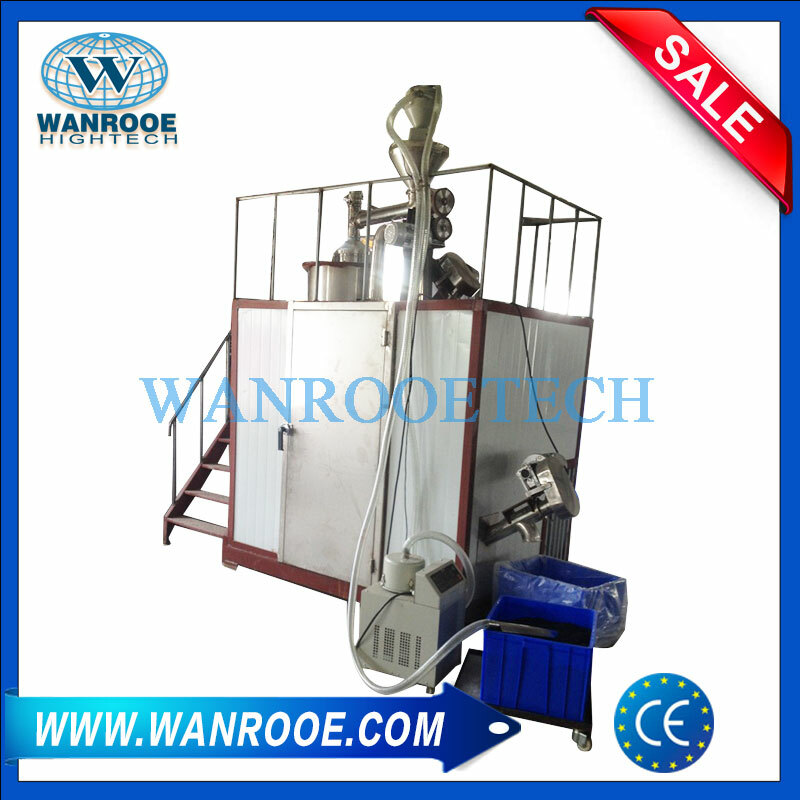 It is the drawing of the total plant of low temperature liquid nitrogen grinding pulverizer machine including feeding screw conveying machine and vibrating screening machine. Crushing chamber and the electric control cabinet are displayed for your reference only. 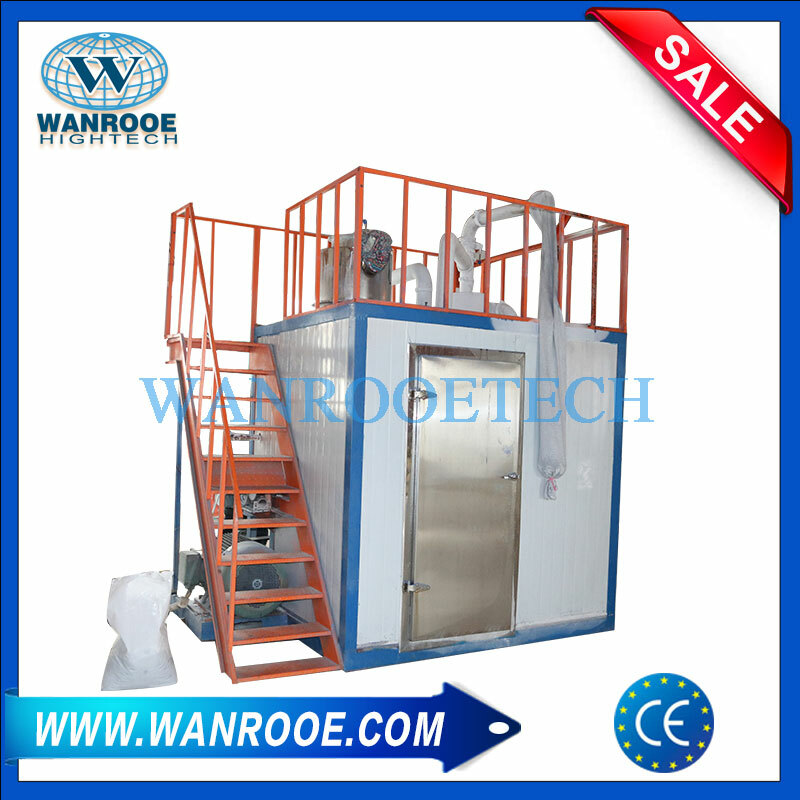 The storage Tank for liquid nitrogen is supplied by customers. 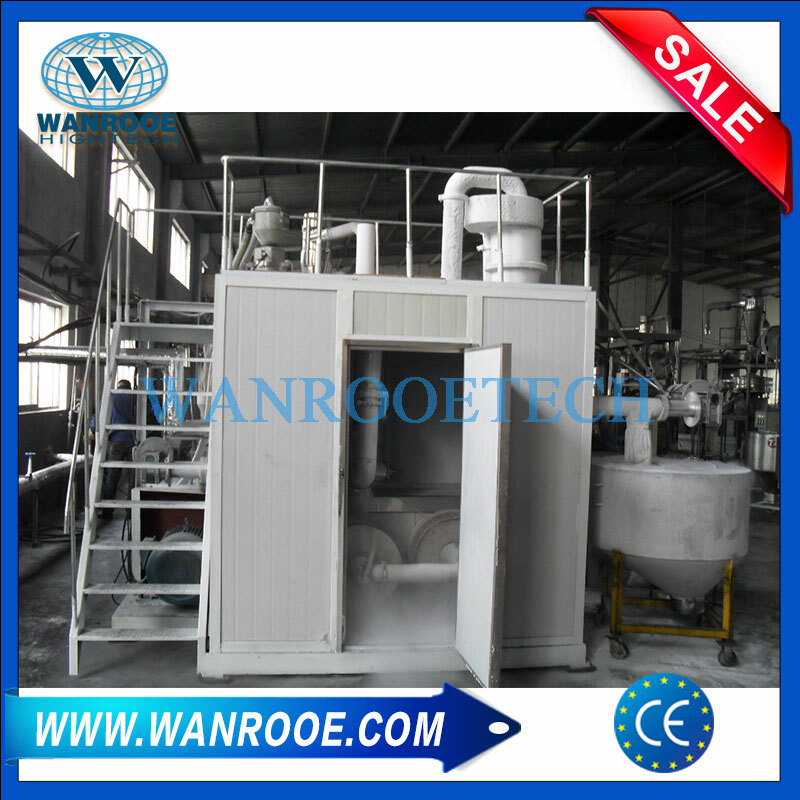 We suggest customer choose the good quality supplier for safety consideration. 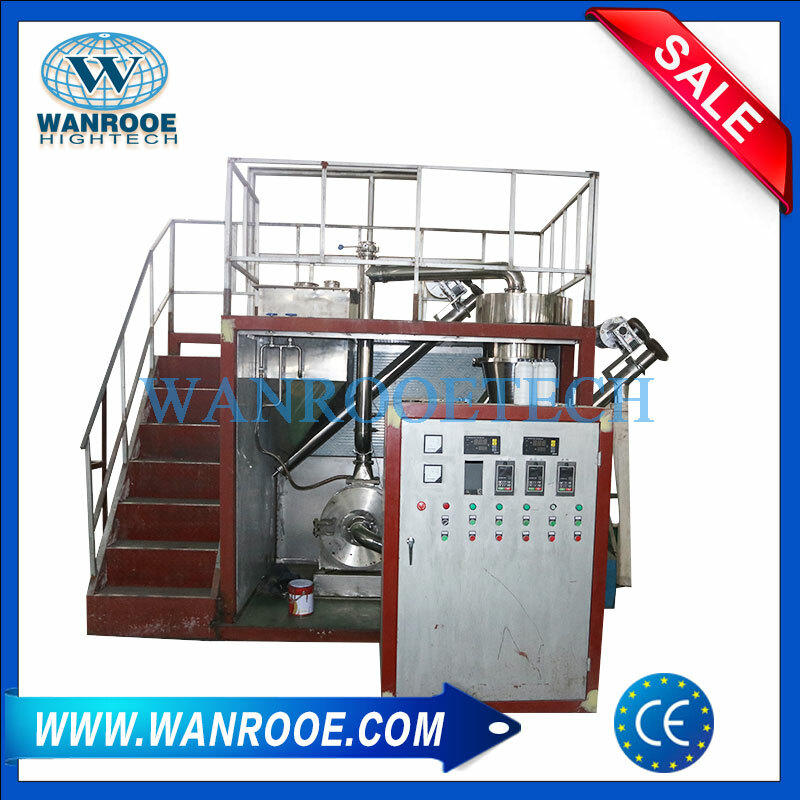 Also our low temperature liquid nitrogen pulverizer machine can work safe and efficiently for our customers to save cost and create values at the same time. 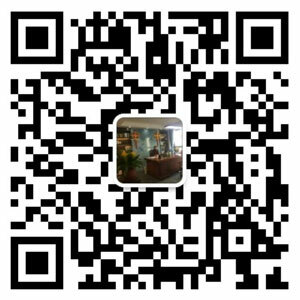 Welcome your inquiry and calling soon!